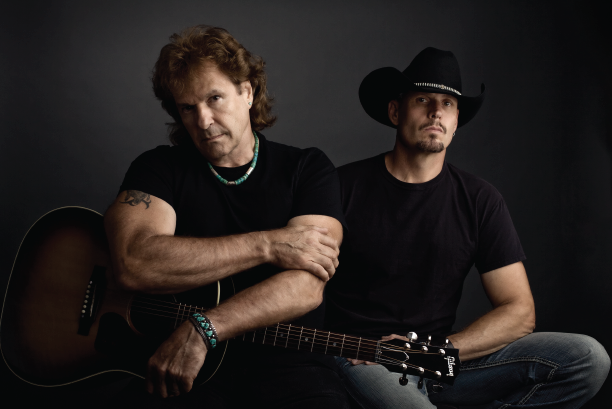 Multi-platinum-selling country artist BlackHawk is Henry Paul (guitar, mandolin and vocals) and Dave Robbins (keyboards and vocals). They along with third founding member Van Stephenson exploded on to the country music landscape in 1993 with their debut smash “Goodbye Says It All”. With a dozen top ten hits including two number ones to their credit and album sales that exceed 7 million records, they continue to carve out their own place in music history. In 1999 tragedy struck when Van was diagnosed with melanoma, a deadly form of skin cancer. In 2001 after a long courageous fight Van lost his battle. Henry and Dave have since followed through with his dying wish that BlackHawk continue to make great music and that they try and help find a cure. They established the Van Stephenson Memorial Cancer Research Fund in his memory, donating the proceeds of their efforts to the Vanderbilt Cancer Research Center. They continue to write and record new music and with their incredible band and continue to spread BlackHawk’s unique musical message. Their new album “Down From The Mountain” will be out in the spring of 2011 supported by a busy touring schedule. There is a sincerity and originality in what they do that rings true with audiences everywhere. Great songs are the cornerstones of their career and these songs have touched people of all ages. Their unique musical character has been a catalyst in bringing non-country music fans to the genre. BlackHawk’s faithful followers have continued to grow in numbers over the years based on the consistency of quality in their live show. Night after night BlackHawk puts on an inspired performance that resonates in the hearts and minds of music enthusiasts everywhere.